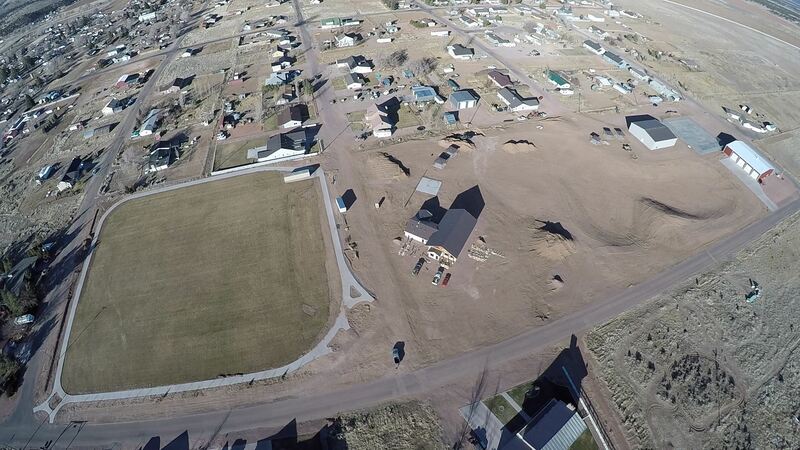 ST. GEORGE — A new city park in Enterprise is coming to fruition thanks to a strong community effort, in the most literal sense of the phrase. 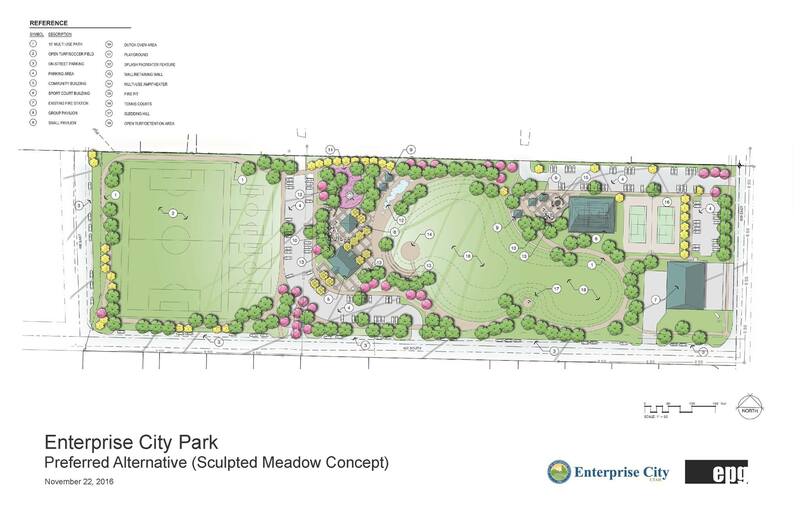 About 650 individuals, businesses and organizations have contributed money, labor and supplies for the Enterprise Community Park. The 12-acre park, already well under construction in the middle of town, will act as a city hub for events such as Cornfest and provide needed recreation and sports facilities for schools, the community and visitors. About $3 million has been raised so far in support of the project, which in its entirety is estimated to cost approximately $3.5 million, according to the city. Over $1 million of the raised funds have come in the form of donated labor, equipment and materials. The city thanked the many contributors by name in a Facebook post Friday. Private monetary donations have come in sums as much as $200,000 by enthusiastic residents. Some funding has also come in the form of grants from various government agencies. The park will feature a splash pad, soccer fields, tennis courts, a covered sports court, a playground and a community center. City officials consider the park a major need of the community, which currently lacks a centralized gathering place for events, largely depending on school and church facilities. “This is not looked at as just a children’s city park. We look at this as an areawide regional facility that will have a lot of appeal to a lot of people,” Enterprise Mayor Lee Bracken said. While Bracken is retiring as mayor this year, Mayor-elect Brandon Humphries said during his election campaign that he would work to see the park through to completion. Well there was a mention and link to the $200,000 Commissioner Cox rammed though. It was scheduled to be $100k but what the heck, make it $200k after all that’s other peoples money. What hat did the 2nd $100k come from? But hey, it will be a nice facility and who doesn’t like nice?